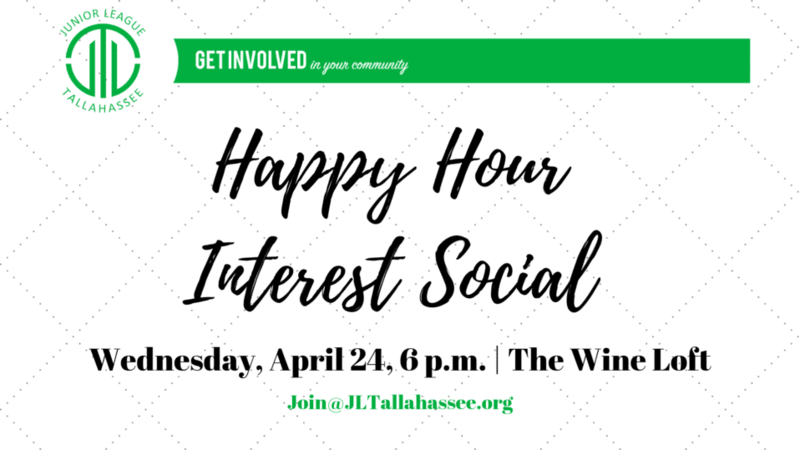 Interested in joining the Junior League of Tallahassee? Meet us at a prospective member interest social at the Wine Loft and learn more about volunteer opportunities, professional development and our mission to improve the lives of children and families in our community. You’ll also get to know new friends! If you can’t make it to any of the interest socials, that’s okay! Email [email protected] if you would like to meet up to learn more about the League or if you have any questions! You can also visit our website to learn more about volunteering with JLT by clicking here.